So many pretty skeins of yarn, all wound up and ready to be cast on. I wonder what they’re for? Check back on Wednesday to find out! 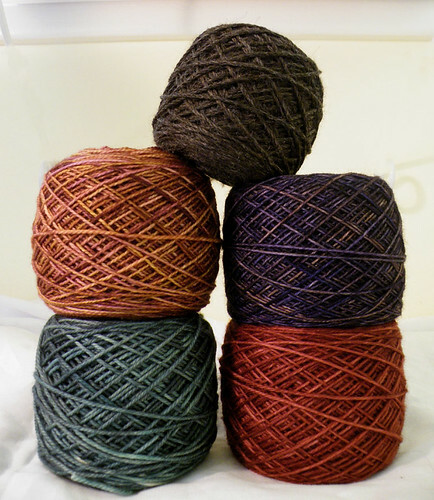 You can’t leave us in suspense–you have to at least name the skeins! And I’m guessing that you’re going to so some fabu colorwork. Gah. I just sent a tweet to you..but that purple yarn is so deliciously gorgeous. I’m in yarn love.